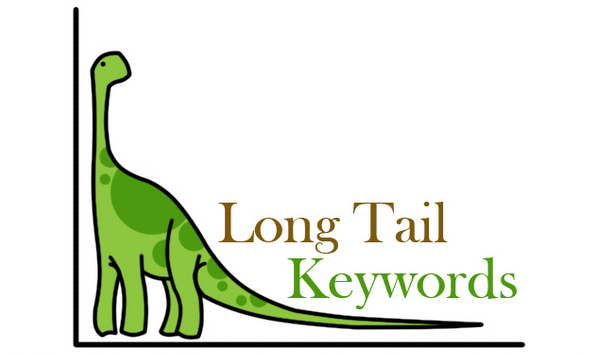 Long tail keywords are like the ten little fingers a typical human body possess. They really aren’t that important if you were to gauge their performance to what the brain, lungs, kidney, eyes and nose do daily. But notwithstanding, their usefulness amounts to nearly 50 percent of our daily routine. When you go to the restroom, you’d use them. When you bathe, you’d use them. When type or go to work, you’d still get to use them. So even as little as they seem to be, they still possess so much a vital function in the body. This can also be said of long tail keywords. It’s said that all popular and well known searches done on search engines constitutes of 30% head, body keyphrases and the remaining obsolete and unpopular search terms owns the remaining 70% of the searches. What this actually means for a blogger is instead of him to target tough and hard to rank head and body keyphrases like Viral Marketing and Writing Tips which are apparently tough keywords; he should rather focus on Viral Marketing Case Study and Daily Writing Tips respectively that have little competition. Now, that you know the importance of always going for long tail keyphrases it will do you good to actually know where to find these long tail keywords. We all have seen this mechanism in action before, but a lot of us haven’t really taken any tangible action towards using this awesome action in finding long tail keyphrases. So, let say I want to look for long tail keywords on an SEO topic. 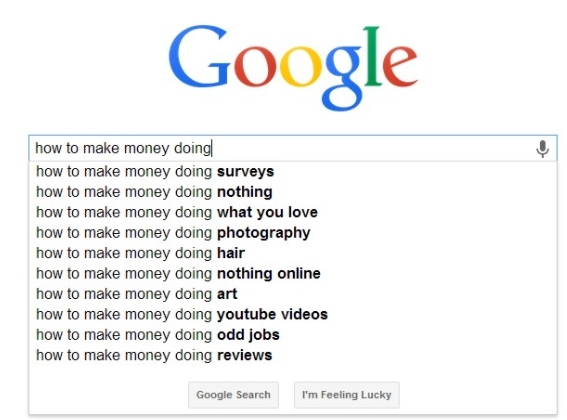 For example, if I type “how to make money doing” without hitting search on Google. These will be exactly what will come out. And why I really love this tool is that you can get as much as 7 long tail keyphrases by searching casually for a keyword. Apart from the Google suggestion mechanism, you can also get similar long tail keyphrases whenever you search for a keyword just by scrolling to the end of the page and locating the “Searches related” part. 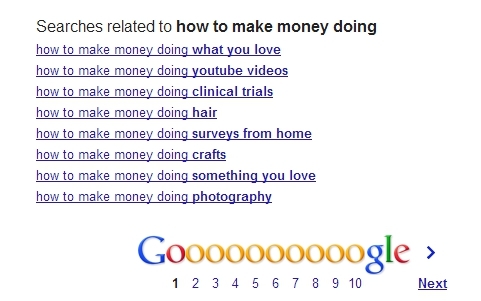 For my search for “how to make money doing” these below were the searches I got. So in case you haven’t really being using this suggestion mechanism and related searches by Google, then you might really want to give it a try from today. 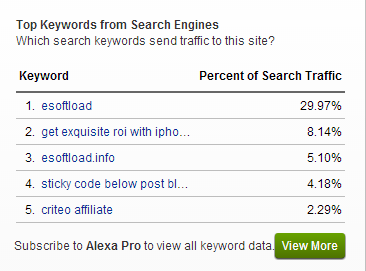 Alexa is a good long tail keyword finder; it’s just that a lot of people have neglected this source entirely. I’ve found plenty of profitable keywords to use for my niche creation business just by doing a simple routine website search on Alexa in other to find which long tail sends in more traffic to a website. To use this tactic is very simple. You’d need to go to Alexa.com and enter in a website which is in the niche you’re targeting to get long tail keywords from. For example, if I want to get writing tips keywords, what I’d do is enter any writing tips website name and hit search. Once the page appears, I’ll go on to click on the website link in other to get to the website’s analytics page. 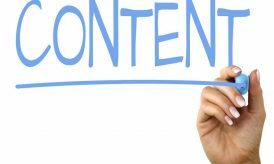 As you can clearly see, these 5 keywords are long tail key phrases that is based on the writing tips niche; you can decide to use them as post titles or even use them as niche target for your niche business. All these long tail keyphrases are essential for niche creation if you really want to leverage the Alexa tool properly. So get on the wagon and start finding long tail keyphrases in your niche which others aren’t looking for at the moment. 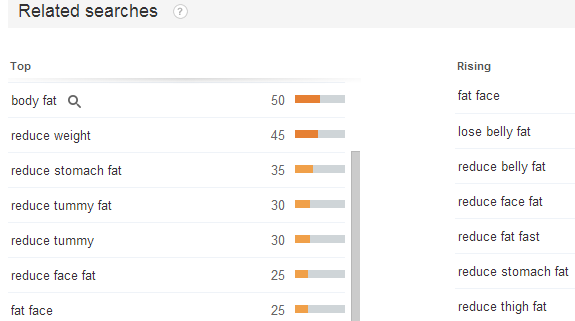 Also, you can use Google Trends to look for preferable 3 to 4 long tail key phrases for your keyword needs. In other to show you the efficacy of Google Trends, I made a search for the key phrase – “how to reduce fat” and these 2 body and 3 tail keyphrases were presented to me. Looking at the right hand side of the screenshot above you’d notice that there is “Rising” at the top of those keyphrases there. That simply means that the body and tail keyphrases in that “Rising” aren’t that popular yet. You can leverage the keywords from that section and build a niche site around them since they are not yet popular. Do this and kiss head and body key phrases goodbye. Finally, using the Google Webmaster tool you can find very definitive and profitable long tail keywords to sooth your needs. In other to find these keywords, log into your webmaster account and click on the website you want to find long tail keywords for. 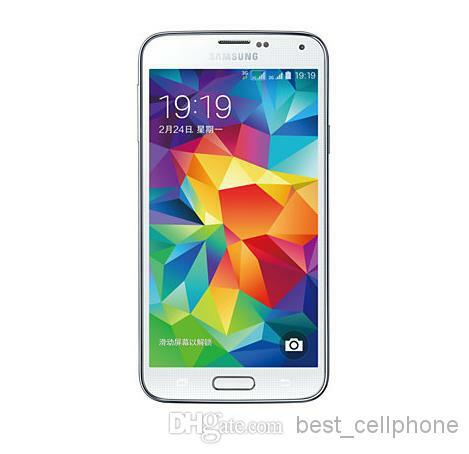 After clicking the site, a new page will load up. 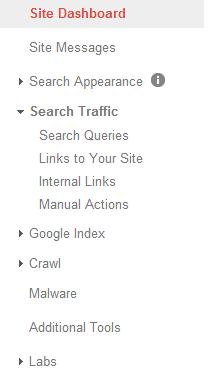 Proceed to click on “Search Traffic” >> then “Search Queries”. Clicking on “Search Queries” will reveal to you the searches your visitors typed on Google which later brought them to your site. This is literally showing me 6 – 8 words long tail key phrases which I can exactly use for my niche creation business and also for my individual blog posts. 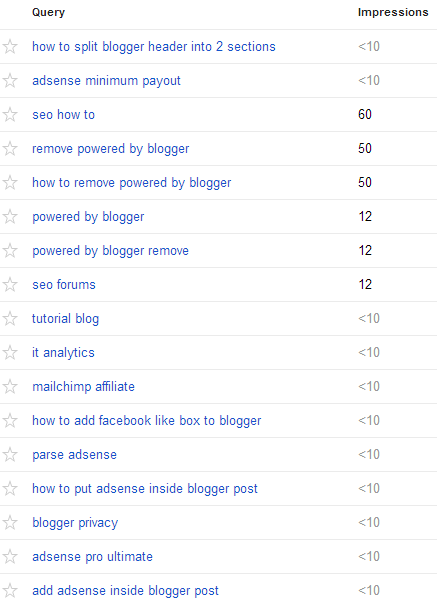 On your own part, you can leverage the Google Webmaster Tool and get as much long tail keyphrases as you want. 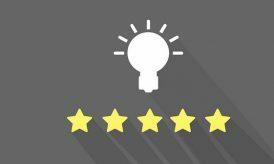 Long tail keyphrases are the main factors that will decide how well your blog will rank on SERPS. 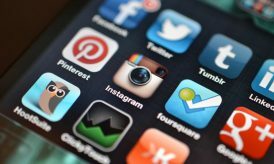 So, targeting it when you write your blog posts will not only make you rank higher in no time but it will bring significant traffic your way too. So to end here, I’d like to ask- apart from these 4 tactics I use to get long tail keyphrases, where do you get yours? Let’s meet in the comment section and share our ideas. Kingsley Agu a freelance writer and a blogger. He owns a blog where he teaches awesome tips to people on how they can get better in writing.